Some [programmers] like to code for months or even years, and hope they will have built the perfect product. That’s castle building. Companies work this way, too. Apple is great at it. If you get it right and you’ve built just the perfect thing, you get this worldwide ‘Wow!’ The problem is, if you get it wrong, you get a thud, a thud in which you’ve spent, like, five years and 100 people on something the market doesn’t want. Others prefer to have something working at the end of the day, something to refine and improve the next day. That’s what we do: our ‘launch early and often’ strategy. The hardest part about indoctrinating people into our culture is when engineers show me a prototype and I’m like, “Great, let’s go!” They’ll say, “Oh, no, it’s not ready.” … They want to castle-build and do all these other features and make it all perfect. I tell them … to launch it early on Google Labs and then iterate, learning what the market wants–and make it great. The beauty of experimenting in this way is that you never get too far from what the market wants. By releasing new products and features before they are completely refined, as ‘beta’ releases, Google and other technology companies can gain significant advantages over the competition. The products can be marketed earlier and initial users can identify problems with unfinished products and suggest new product features. A case in point: Google’s popular ‘Gmail’ or ‘Google Mail’ application has remained ‘beta’ since April 2004. The approach of releasing ‘half-baked’ products is limited to certain industries and products. And, for sure, these ‘beta’-products are expected to include all the critical functional features expected of the product. Airlines will not fly a new aircraft that has not yet passed comprehensive tests and regulatory certification. On our personal and professional initiatives, we tend to wait for the perfect time, the perfect team, or the perfect conditions. The end-result is that we never get started on the initiative. If we do start and then aspire for a perfect design, we may never get done. Some of us, yours truly included, are chronic perfectionists. 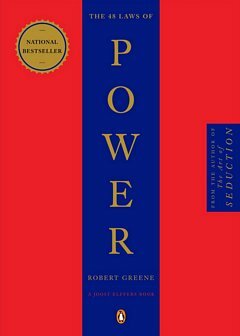 We tend to be excessively self-critical and demanding of ourselves. Our struggle for perfection habitually turns into an endless quest for making ‘better’ a ‘little better.’ Any state of perfection ceases to exist when we question the perfection–when we ask how perfect the perfection is. We need to accept the prospect of compromises to our goals and aspirations. We need to acknowledge that our expectations are often excessive and uncalled for. When we develop a ‘good enough’ or ‘perfect enough’ mindset, we realize that imperfection is, after all, a negotiable outcome. There will always be a chance to improve. What Type of Perfectionist Are You? Two-Minute Mentor #4: Is a task worth doing worth doing poorly? Thank you, it is very good explanation of perfectionism. 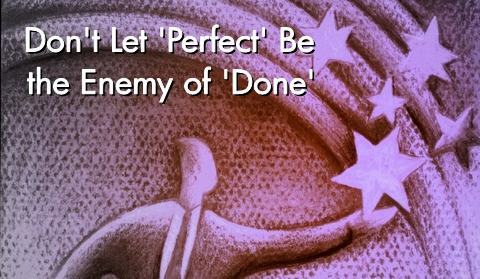 For many people perfectionism means also fears before starting the work without ‘perfect’ knowledge and skills.